Besides being a tax-free country, UAE keeps attracting more and more Foreign Investors due to its exceptional infrastructure & facilities it offers. Foreign investors can set up several types of companies in UAE from large firms to small business depending upon their business objectives. SEPL Document Clearing LLC helps you to plan your new Business Setup in Dubai and across the UAE and offer you a large range of premium Business Start-up services. Outsource your company registration and company setup services to us as starting a business in UAE is a time consuming and complicated task which we make very simple for you. 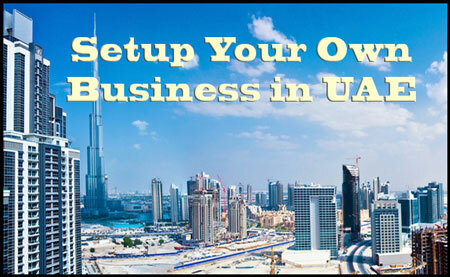 How to start a Business in UAE or How to start a new business? In case where a Professional license is applied for crafts, e.g., architect, doctor, artist and others, the foreign ownership can be 100%. However, a local national must be taken as service agent. How to start your own Business or How to start a Small Business? However, owing to certain restrictions, the choices commonly adopted by foreign companies are generally limited to a Limited Liability Company (‘LLC’) or a branch. The other options e.g. partnerships and joint venture etc. are usually not favored by foreign investors. STEP 1: Determine Business activity type. There are more than 2000 business activities available in Dubai which falls into 3 different classes that are 3different Licenses. The License would be issued on your business Activity. STEP 2: To decide who will be your UAE national partner – “Sponsor”. This requires careful consideration of what services would you expect from your Sponsor- (i) Would you like him to assist you in resolving your problems with government procedures; (ii) would you just want his name on your license and nothing else; (iii) how much fees you are prepared to pay him per year. The Sponsor must be paid an annual fee. STEP 3: Get a name and activity approval from Department of Economic Development (DED). This can be applied for and done on the normal form and submitted at DED. STEP 4: Look for business premises and make a tenancy contract. All businesses in Dubai must have business premises evidenced by a tenancy contract in order to get registered. STEP 5: Make a Memorandum of Association with the Sponsor and submit to DED. Any Legal firm can type out the Memorandum of Association which must specify the special arrangements for running the business, ownership percentage among all the partners, and their profit sharing arrangements. This agreement must be notarized in Dubai Court. STEP 6: Submit the MOA and License application at DED. Submit the MOA and duly filled License application along with required legal documents and tenancy contract at Department of Economic Development. All fees and charges must be paid at this stage. (License may be issued in a week’s time if all documents are complete). What business to start in UAE?